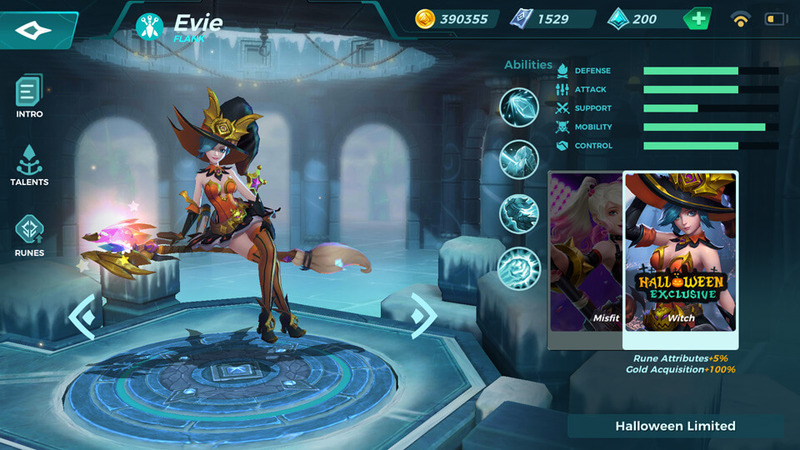 Evie is a mobile flanker who excels at disrupting the enemy blacklines and escaping in the blink of an eye. CD: 0.7s. Fire three projectiles in a narrow cone, with each projectile dealing 350 area damage to enemies on impact and reducing their movement by 50%. CD: 12s. Become encased in a block of ice, making you immune to all damage. Cannot move or make primary attack for the duration of this ability. 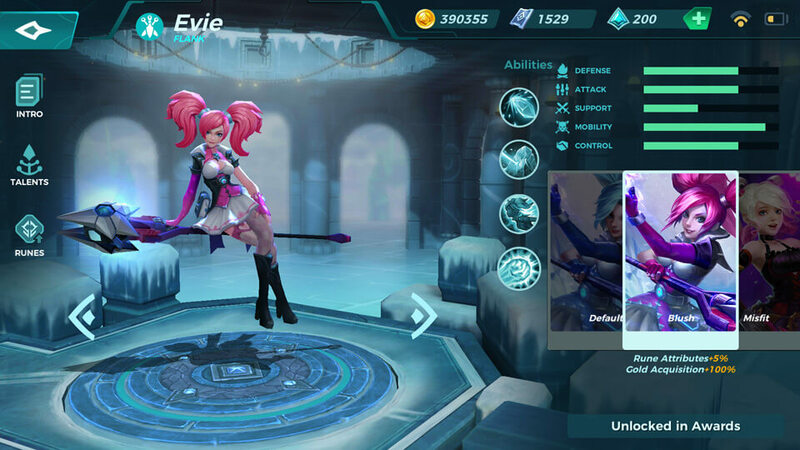 Reset the cooldown of Blink. Casting abilities will break Ice Block. 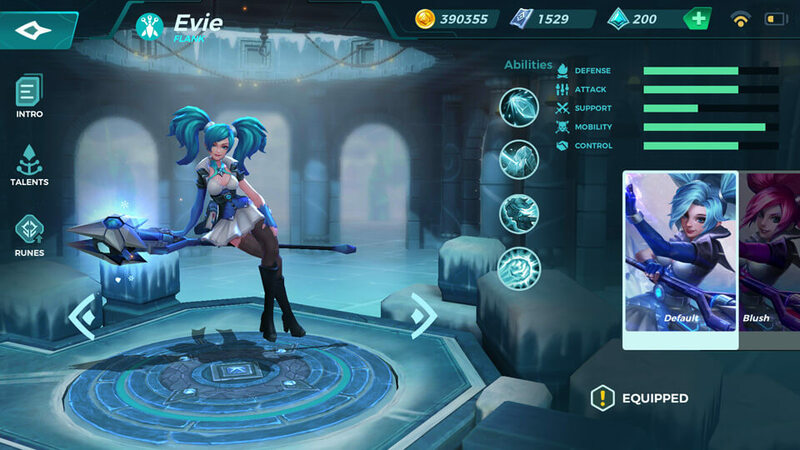 Bonus: When Ice Block endds, explosive radius grows depending on how long you were frozen, enemies within the explosive are slowed by 50% and take up to 1100 damage. CD: 6s. Teleport a short distance in a designated direction. CD: Energy Gained. Create a massive ice storm that passes through shields and deals 400 damage every 0.5s. Bonus Damage: Reduces the movement speed of affected enemies by 50%. Basic attacks deal 20% more damage to shields. Ability cooldowns reduced by 25%. 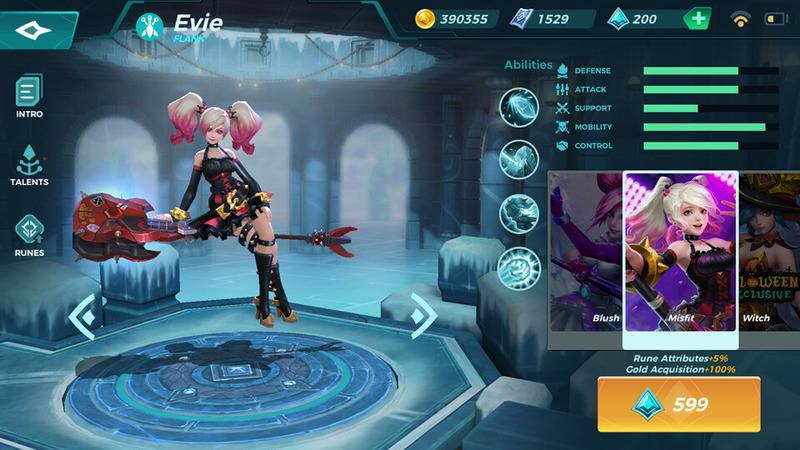 Max health increased by 25%. Kills heal you for 25% of your max health. Ability damage increased by 50%.